Feminine, woven wrap top from CHIARA FORTHI. 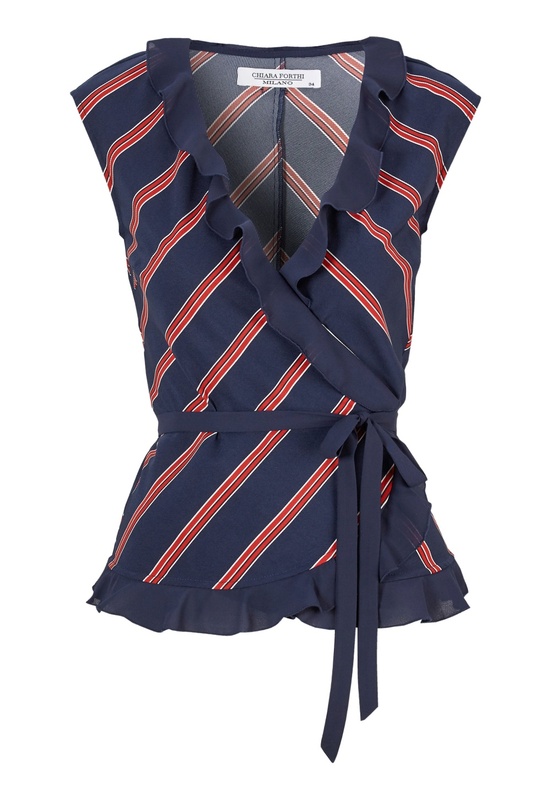 The top is made in a woven fabric and has pretty flounce edges in chiffon which adds that little something extra. Total length of garment in size 36: 61 cm.